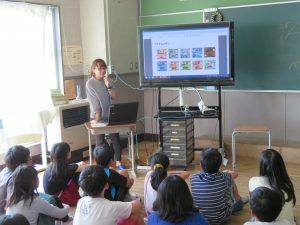 ASEAN-Japan Centre conducted a school-visit to Taniguchidai Elementary School. 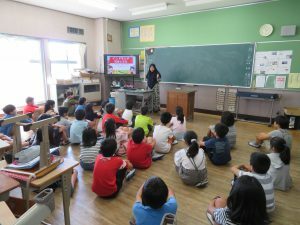 In the school-visit program, Cambodian, Indonesian, Laotian, Vietnamese nationals living in Japan introduced their home countries to the 5th grade students. The lecture focused on the food culture and its history of each country based on a request by the school. Students were actively taking notes and expressed surprises to their new findings. There were many questions from students and each lecturer answered them one by one. Students had an opportunity to feel the ASEAN Member States closer to them by learning some greetings in their languages. Many students said that they wish to visit the countries in the future.